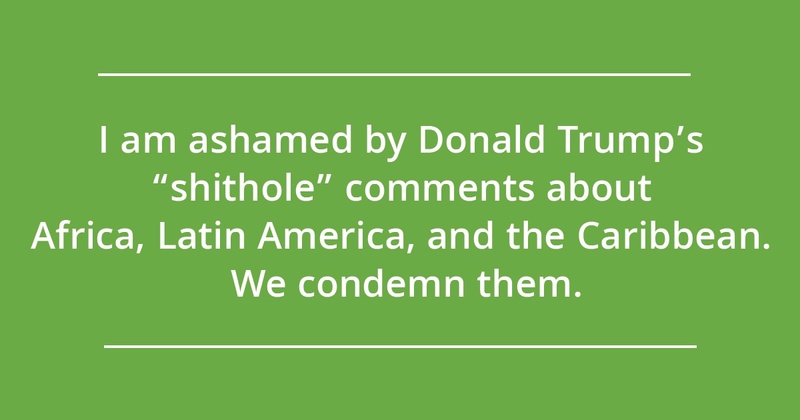 I am ashamed by Donald Trump’s “shithole” comments about Africa, Latin America, and the Caribbean. We condemn them. His remarks dehumanize our fellow human beings—of which countries like mine have done in unconscionable ways across history. They are racist. They foolishly undermine U.S. business interests and national security. They are simply untrue. They are dangerous. They encourage violence. They are cruel and hurtful. They miss the innovation, economic growth and entrepreneurship that rivals our own. They are un-American. They are not ok—and, I vigorously disagree.